NOBLE FIR model with 2-car garage on Lot 9. Master on Main and Office/Study. Upgraded with raised FP hearth, simulated wood-look garage door, 9ft. ceilings 1st floor, 8 ft wide dormer over garage, comfort height toilet in master, and granite in kitchen & powder room. 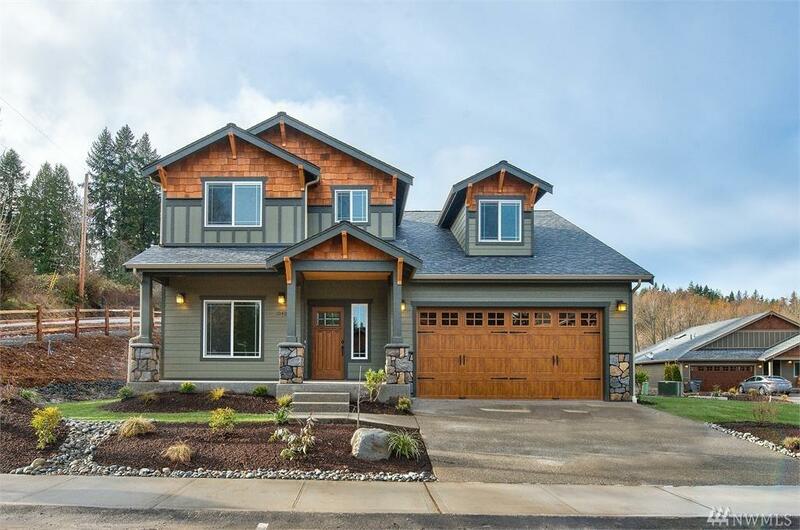 95% efficient natural gas furnace, natural gas FP w/tile surround, Energy Star SS appliances, cement plank siding, ext stone accent, 5-piece master bath, wide plank laminate flooring. Front yard fully landscaped, back yard seeded.